This dish was the highlight of my meal tonight though still nothing to write home about. 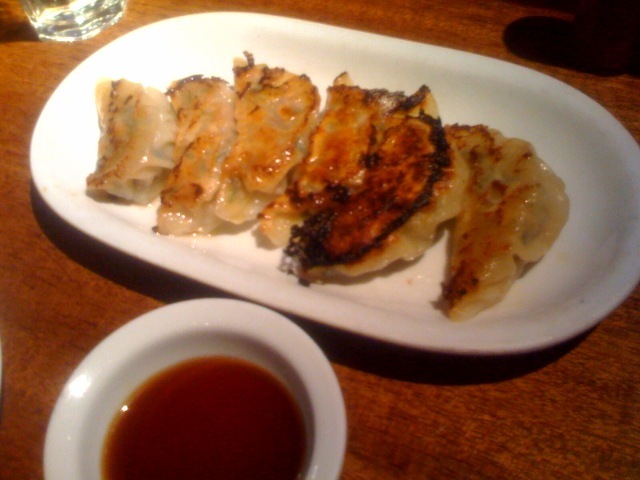 The gyoza skin was thin, light, and crispy on one side. The filling however needed a bit more seasoning. I still prefer the pork gyoza at Sapporo.